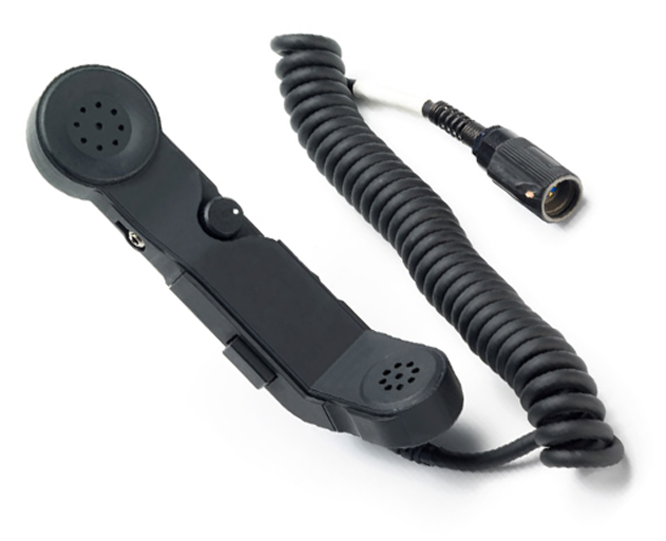 Designed to replace H-250 handset. Works anywhere an H-250 works. Has an added volume control and earphone jack.